Our youngest disrupted Thanksgiving for the rest of our lives by being born on November 25th. 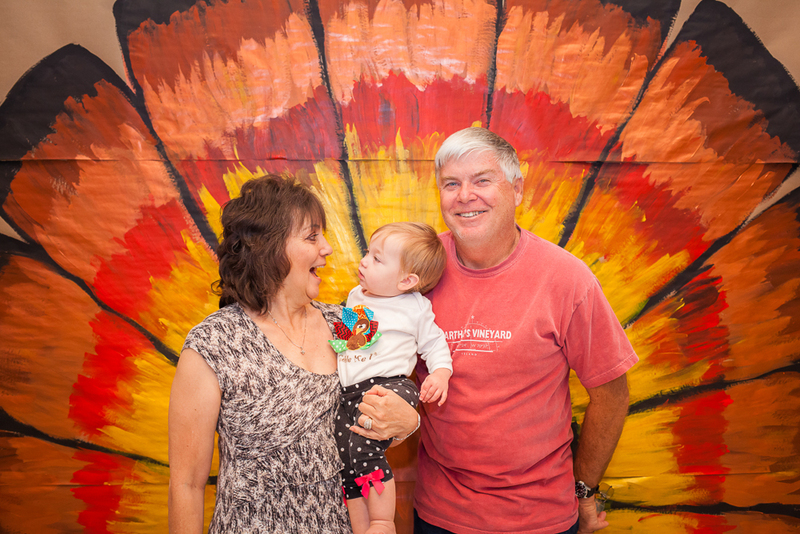 She quickly earned the nickname, “Turkey Girl” when she came into the world as a round butterball. It’s totally okay because now we get birthday cake on Thanksgiving weekend instead of just pumpkin pie. 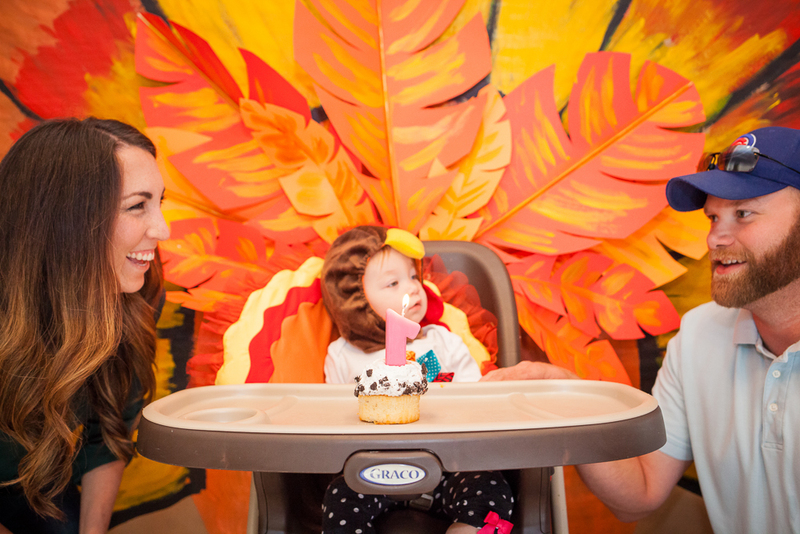 For this, we thank you Lola, for taking your December due date and making us eat hospital turkey, but making it up by having a fall-themed birthday party. 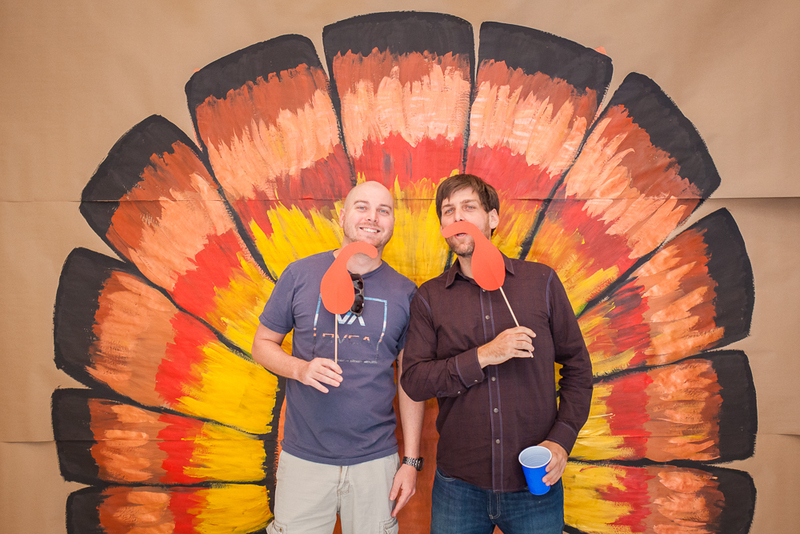 When I host an event two things happen: 1). My husband rolls his eyes and starts to sweat because of the potential costs associated with it and 2). I dig into my hoarding piles in the garage. 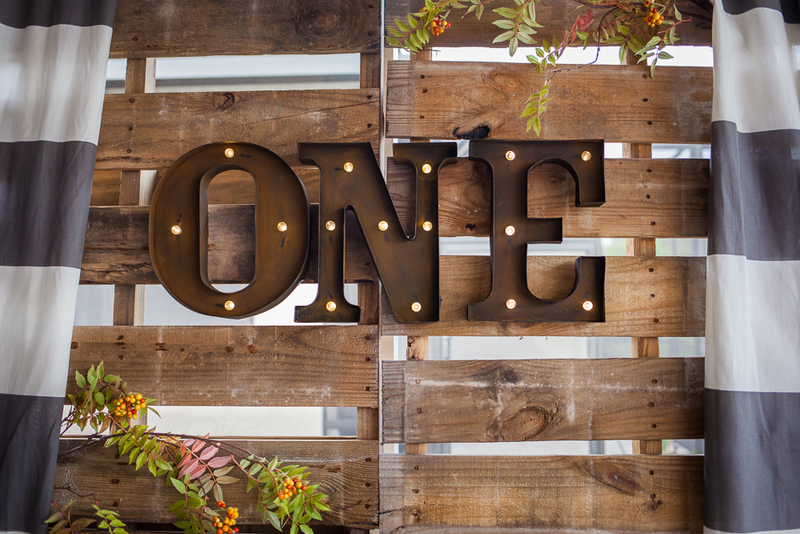 For this birthday celebration, I repurposed a former selfie station sign to one that welcomed our guests and created a lot of decor that was insanely budget friendly. I totally scored with my then, neighbor, who was having his pool done. The pallets packed with pool building material were super sturdy and I simply asked the workers if they could leave them behind for me to use. Therefore, the Hubbs didn’t end up with a sweat-soaked shirt, this time! 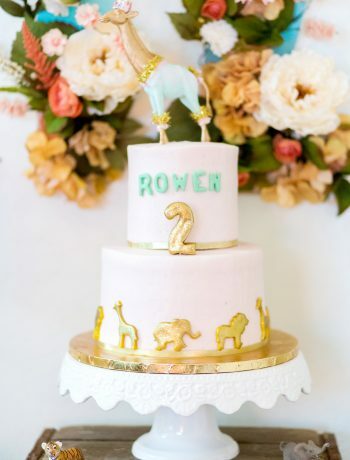 What you need to achieve these looks: Michaels Craft Stores, the Cricut Maker, and a little inspiration! 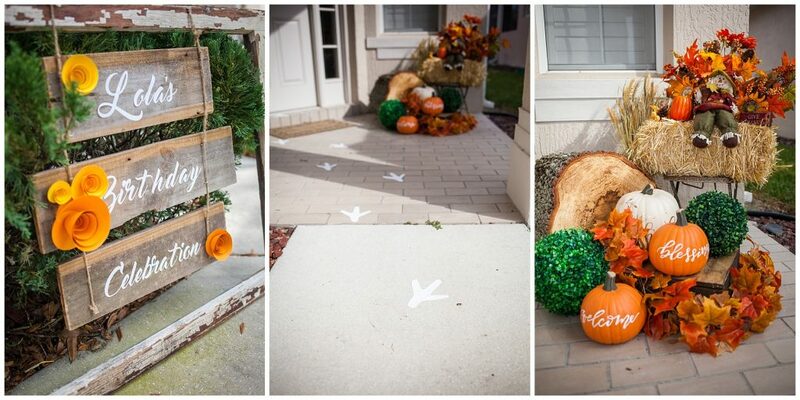 Guests were greeted by turkey footprints that guided them up to the door. I used my Cricut for the footprints as well as for the welcome sign! 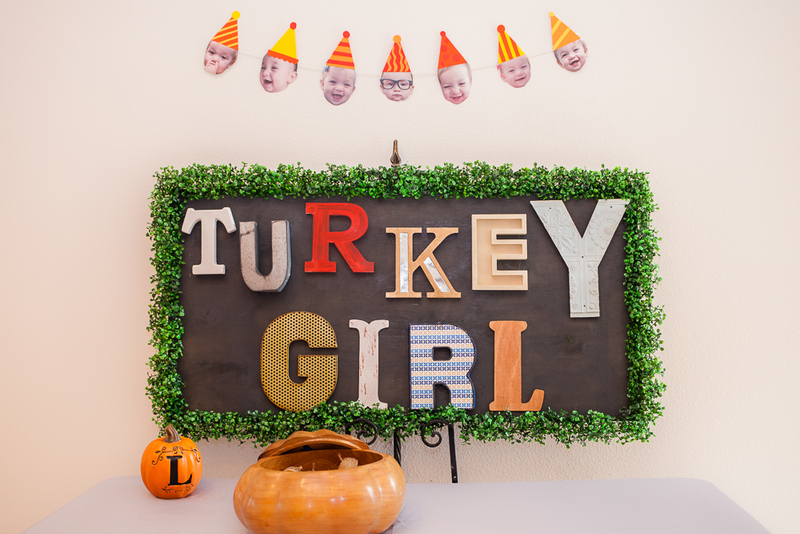 Once they opened the front door, our guests could see the adorable hodgepodge of letters that made up our turkey girl sign. 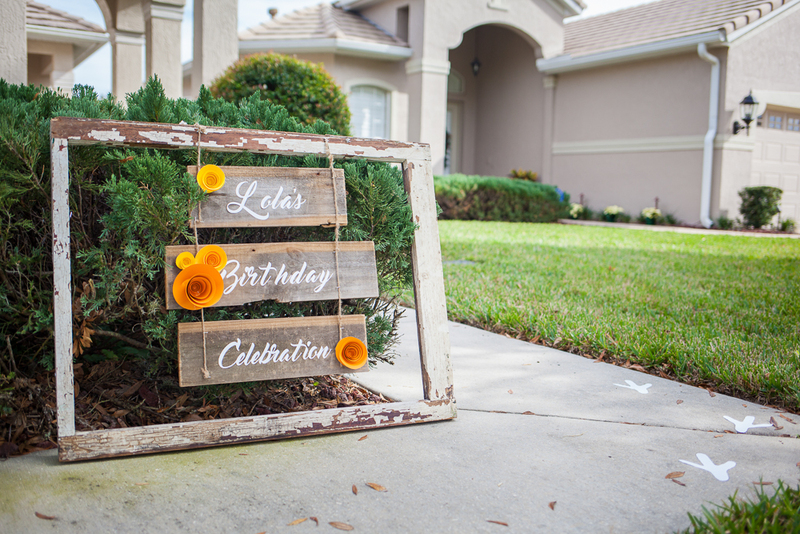 This sign was made from pieces of painted scrap wood, letters that were bought throughout the year (when they were at their lowest prices), and framed out with faux boxwood. This “face banner” is probably my favorite decoration! Looking through all of Lola’s photos, I simply copied and pasted my favorite expressions of her onto a word document and cropped and enlarged them. I printed them out, cut around each face, and added some party hats. They were then strung from fishing line (any string, twine, ribbon, etc can be used) and Voilà ! Cuteness overload! Our favors were simple. My grandparents gifted me this wooden pumpkin and I wanted to make it a featured piece. 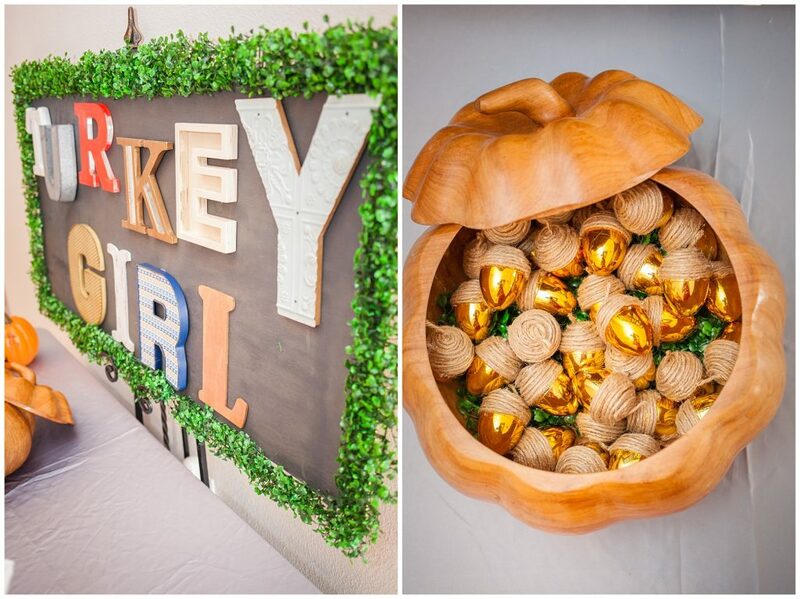 The “acorns” were created from gold Easter eggs from Amazon with added twine via hot glue to make the caps. Inside were a variety of chocolate M & M’s in fall colors. This shadow box was from an old project, so I first removed the plexiglass and then added the faux boxwood and the letters and the pumpkin which were from Michaels. Ahhhhh! 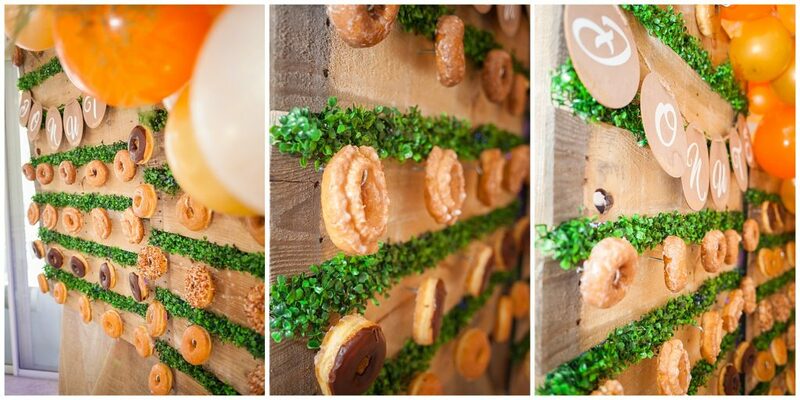 The donut wall! Those pallets I mentioned before..well, here they are! My husband made the stands, which I hid with some burlap. 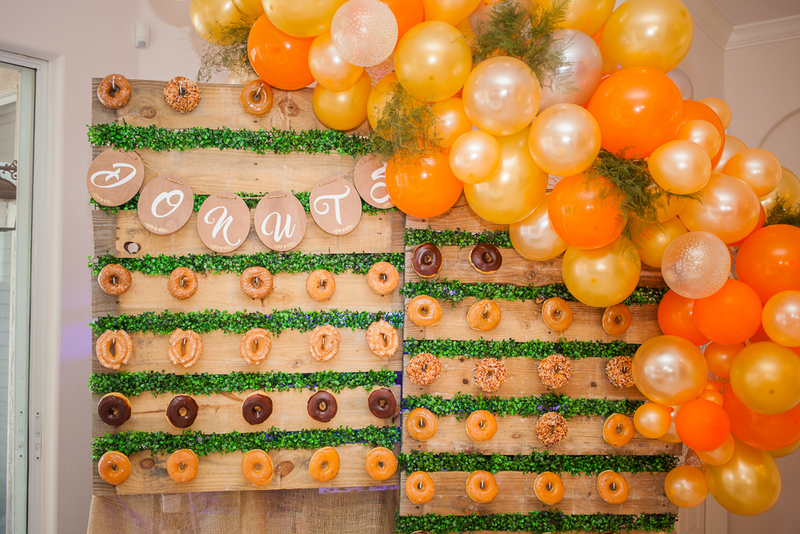 Hooks were then added to the pallets to hang the donuts. To make it blend in with the rest of the decor, we added the faux boxwood (which was actually a last minute decision). This balloon sculpture was a beast and I love her! 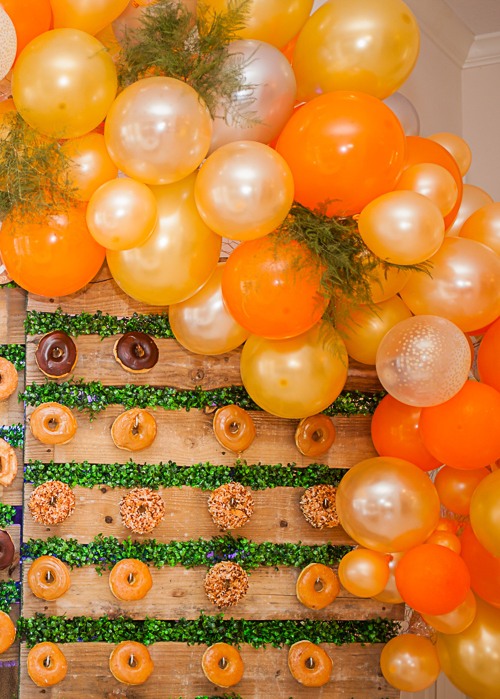 A simple banner was attached to help balance the balloons and well…state the obvious. 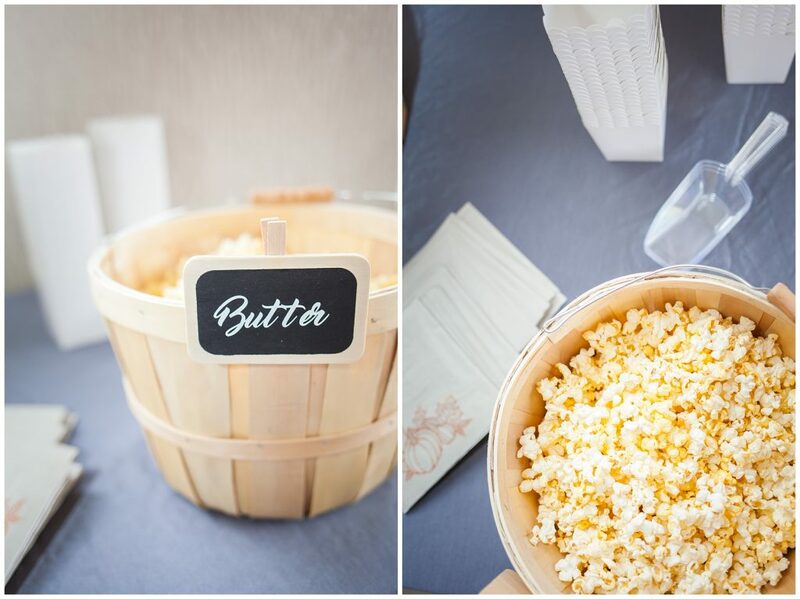 The Pie and Popcorn station! Who wants to overfeed people at 2 pm in the afternoon?! My husband sure doesn’t so I thought these pies and this amount of popcorn would be just right. Not pictured are two other types of popcorn. We were budget friendly but not stingy. This piece of foam core was from Michaels and fit our porch window perfectly. I also found this awesome wrapping paper and added minimal flowers and a simple banner. Using my Cricut, I was able to cut out all of the lettering, because my handwriting just won’t do! So simple and fast and with eye-catching results! As for treats, this was my favorite! 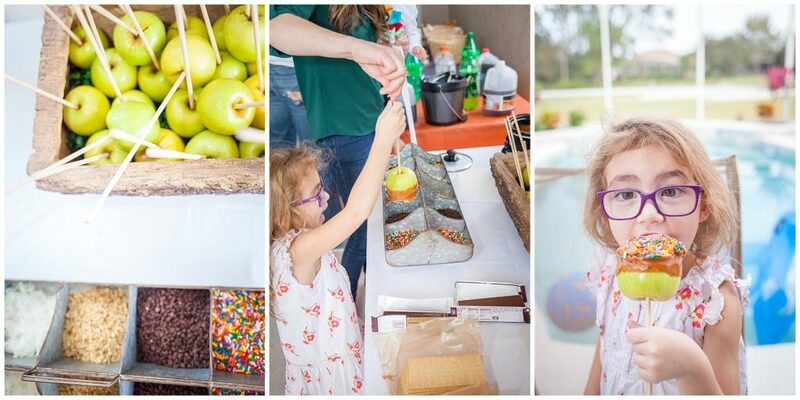 My mom had this mini crock pot that was just the right size for melting caramel and so the idea for a DIY caramel apple bar was born! Beside the Apple bar was a smore station where sternos were used to keep the flame small and contained. 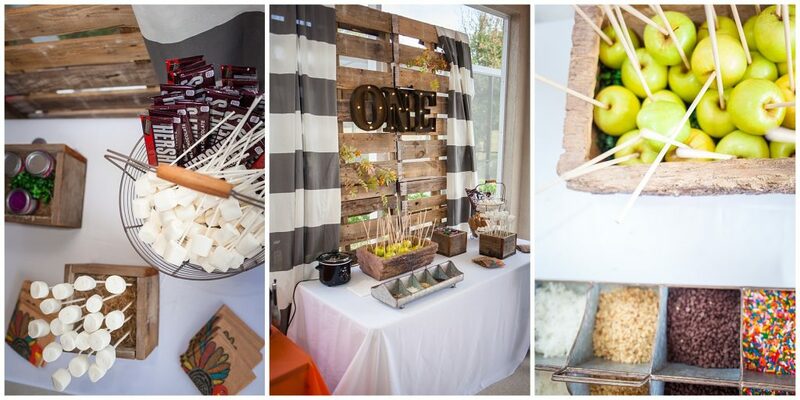 Again, those pallets!!! Aren’t they perfect? 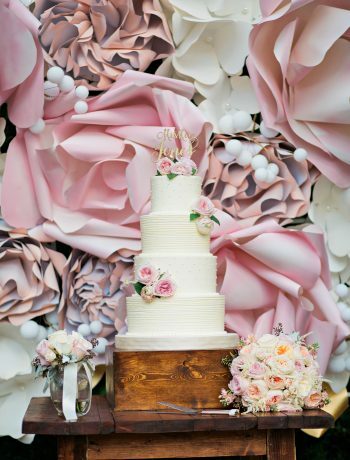 That amazing husband of mine created this impressive backdrop by securely stacking the pallets and attaching them together so they wouldn’t fall. 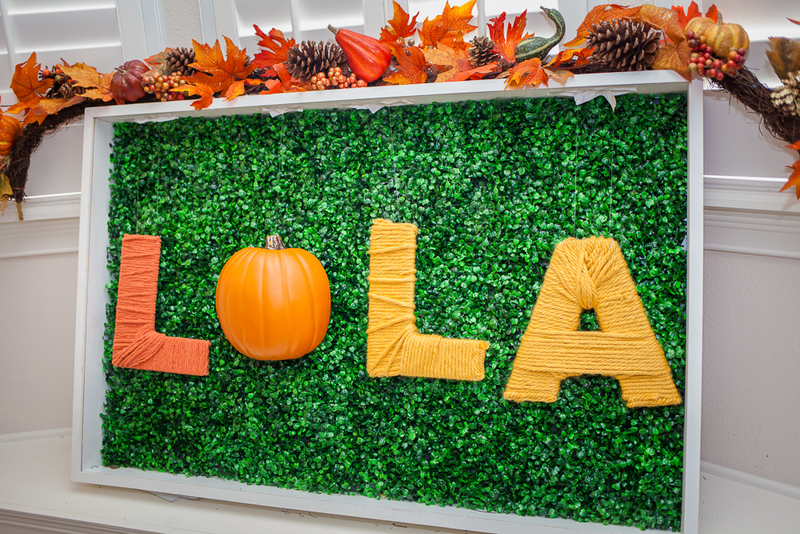 These great light up letters from Michaels were attached to the front of the pallets and the curtains from my master bedroom were added to soften the sides. 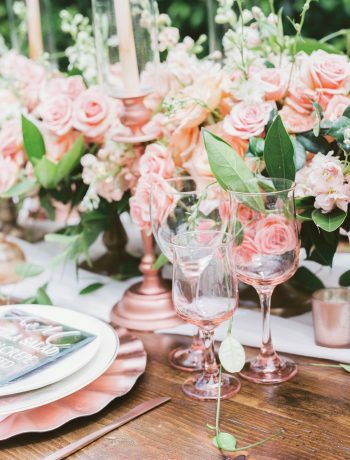 The small sweet touches of faux flowers added the perfect amount of color to complete the look. 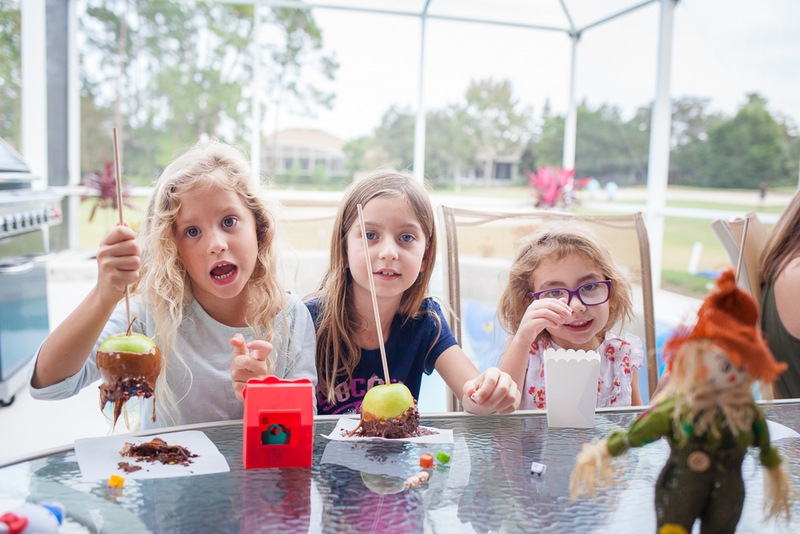 Of course, my oldest girl could not wait to be the first in line to dig in! 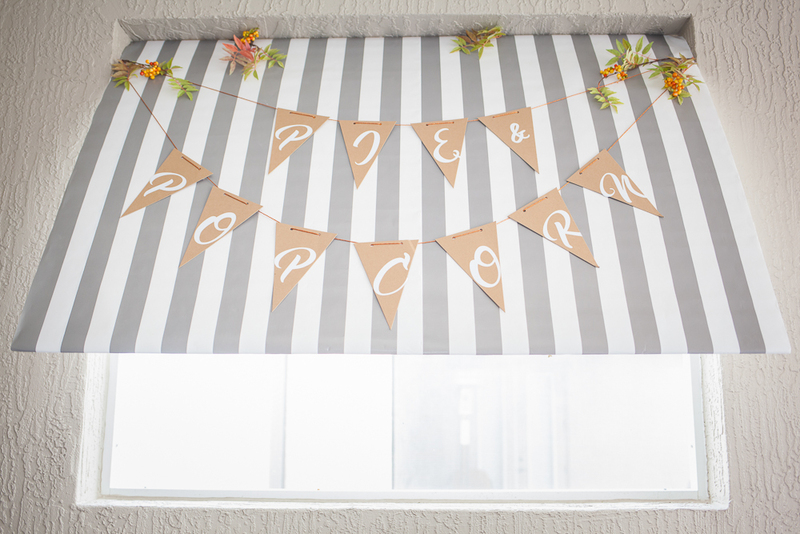 The wrapping paper that was used on the pie and popcorn awning, was also used as table runners. 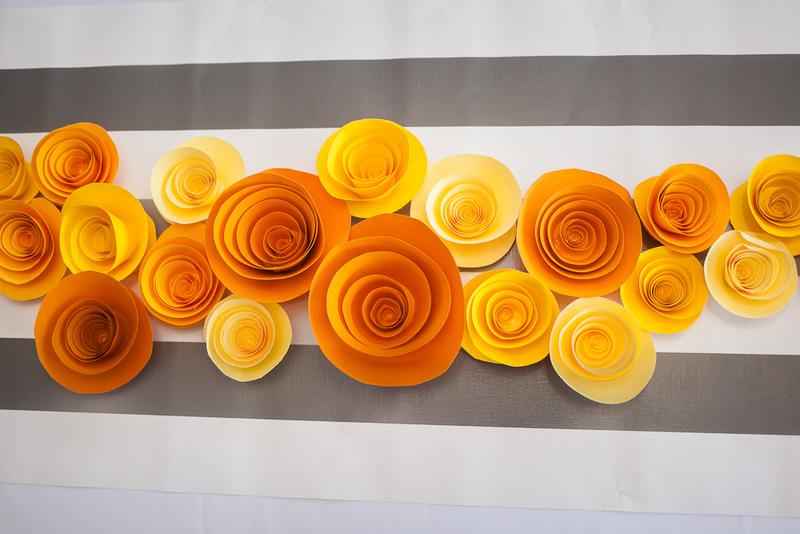 Spiral flowers were added and attached for texture and fun! On to the main show! 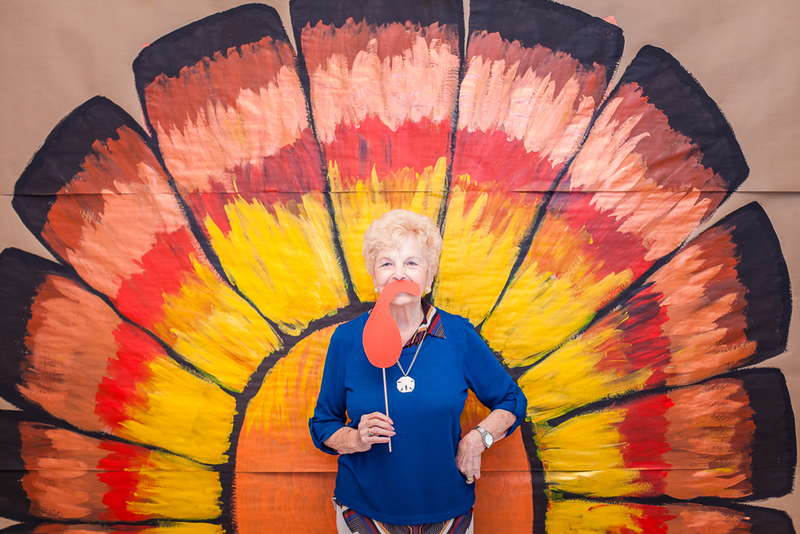 My Mom actually had the idea to make this giant turkey backdrop. The most inexpensive way to obtain this involved draping the wall with kraft paper (until I ran out) and painting it, of course. I ran to my favorite craft store, Michaels, and bought out all of their orange, yellow, brown and black paints! 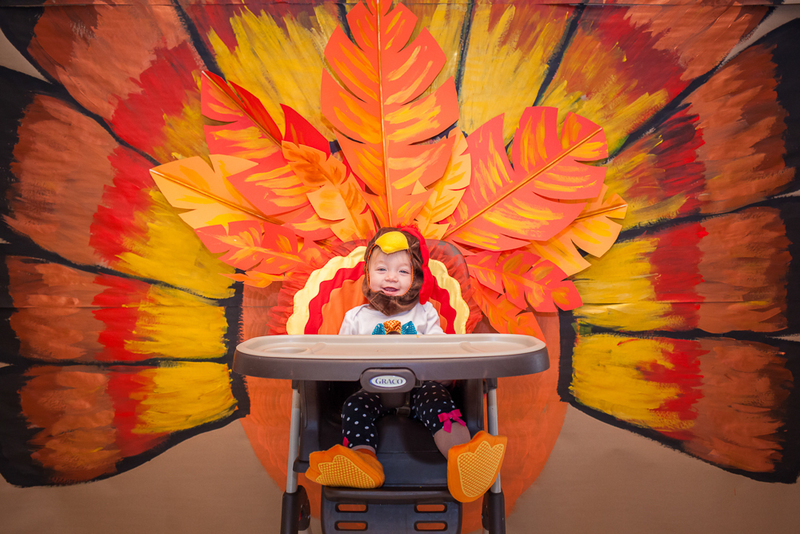 Lola’s high chair featured feathers made from poster board and wooden dowels which were also painted. 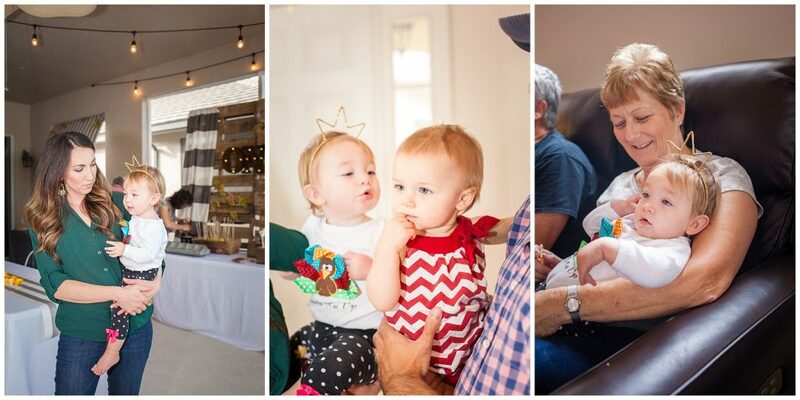 Once she finished smashing her cake, we used this as a photo backdrop for our guests (see photos at the end of the post). 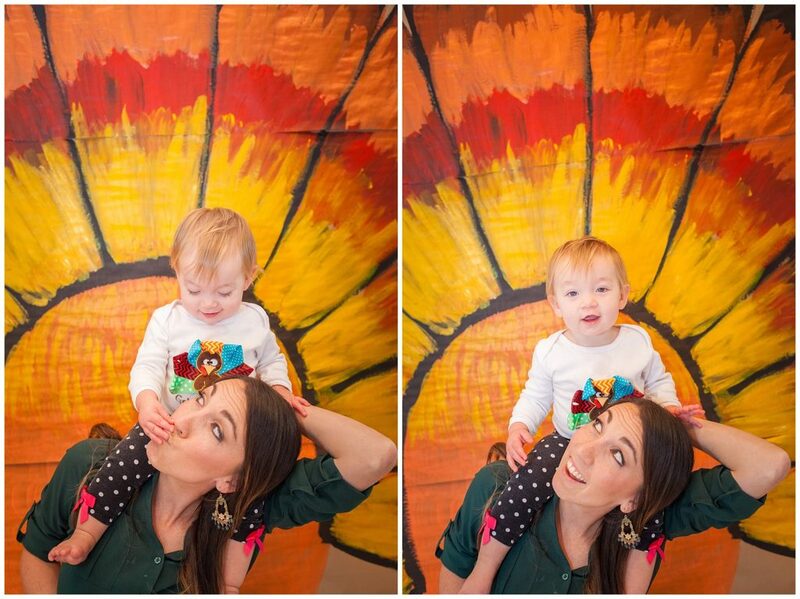 This is how you get a slew of kids to smile… or cry (see right photo). A couple of my brothers! 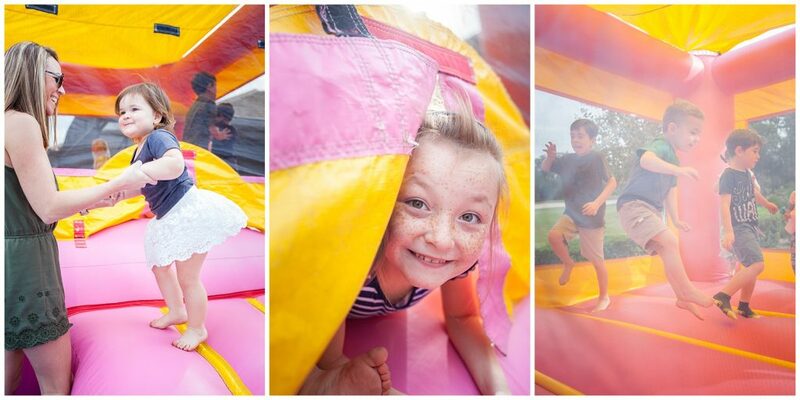 The kids played and had a great time. 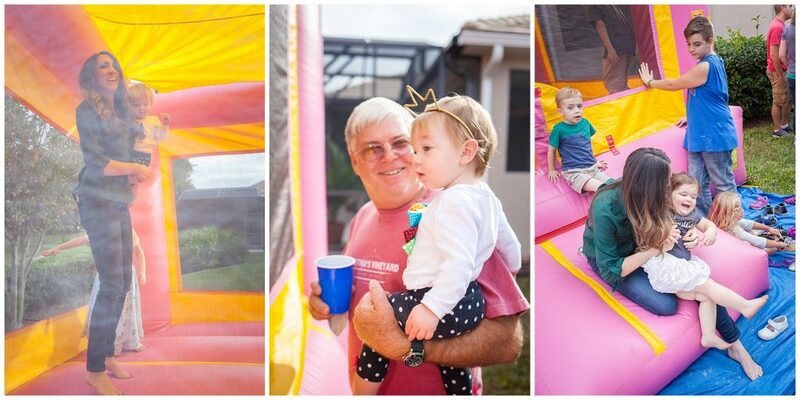 If you ever wonder if you should include a bounce house at your next event that involves children, the answer is YES! 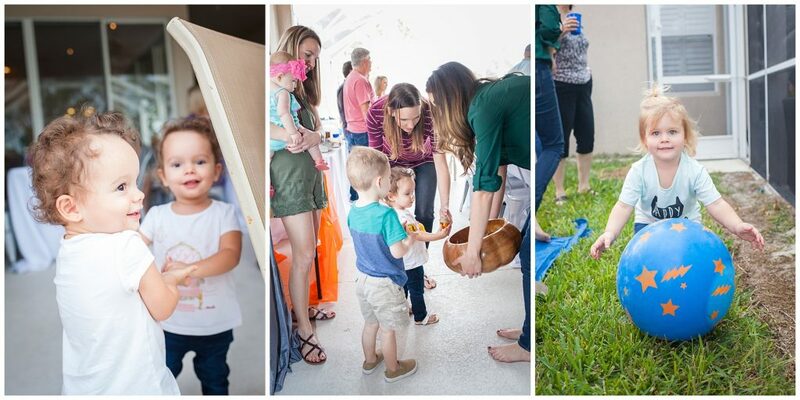 Always a hit with the kiddos.